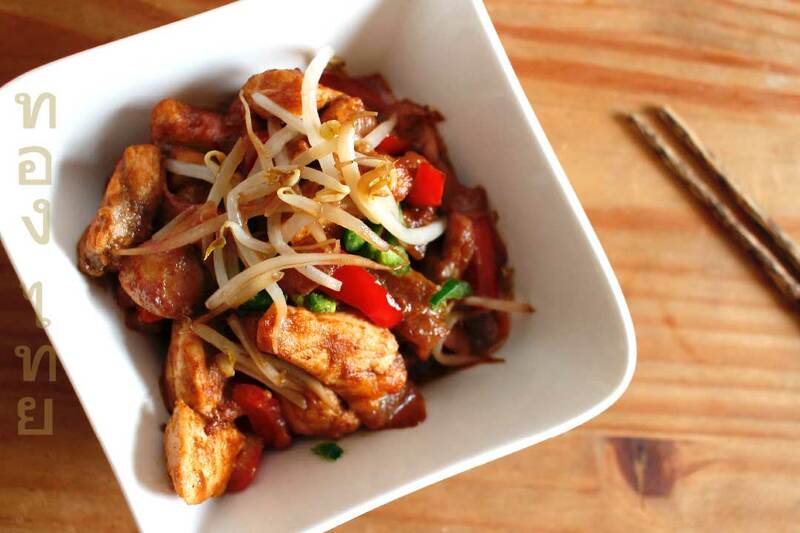 Chicken Satay is the ideal dish to share with friends. In a pan pour vegetable oil generously and fry garlic gloves. Add the sliced chicken and fry on a high heat for 3-4 minutes. Add the sliced onion and cook for 2 minutes. Add the mushrooms, peppers, cabbage and cook for a further 2 minutes. Next empty the entire contents of 1 jar (230g) of Thai Peanut Satay and cook for 3 minutes. Then add the fish sauce and soy sauce. Cook for 2 minutes. Finally add bean sprouts before serving. Serve with Thai Gold Jasmine rice.